Every now and then I have friends requesting to try a new place MEATliquor has no menu’s on their website. I had to google for menu, much to my delight I realised it was owned by Yianni Papoutsis, the infamous Meatwagon. 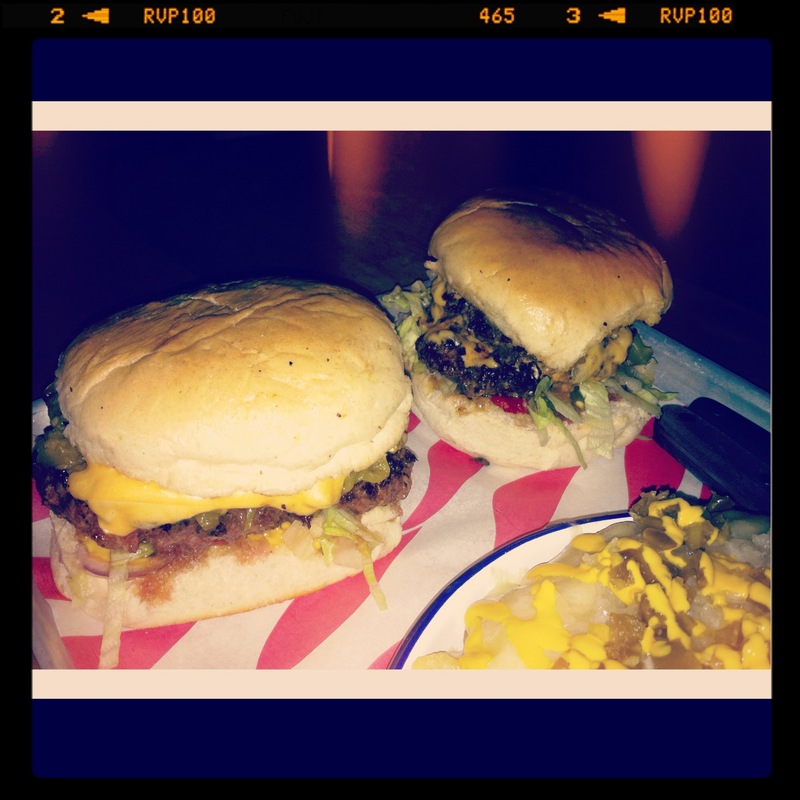 I had a Philly’s cheesesteak in Peckham Rye pub last year and it was DELISH!!! There was a queue outside as my friend waited for me to arrive, lucky we managed to get in within 20 mins, and seated at the bar whilst we wait for tables. The aromatic scent of good greasy food instantly hits you. 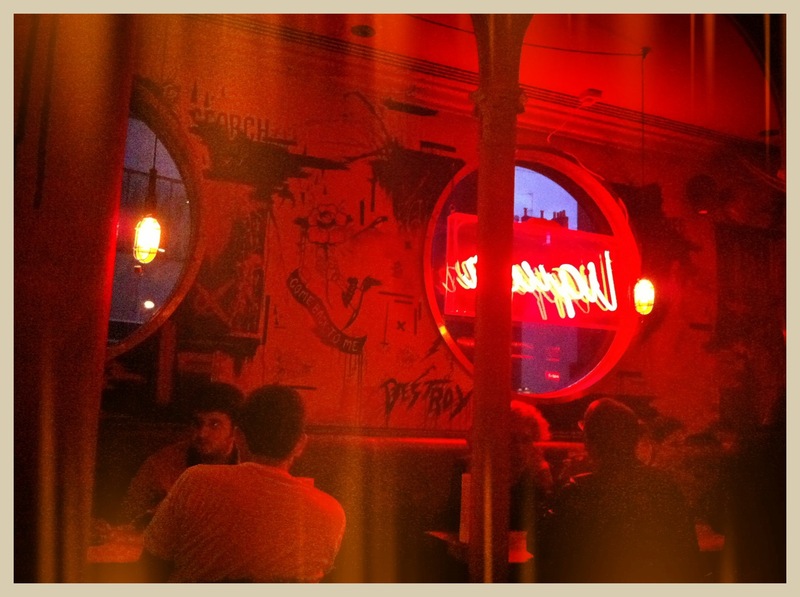 The place is dimly lit, red lamp lighting my friend commented that it looked like a seedy bar. Whilst we waited my friend ordered a beer and I had a delicious cocktail, my drink was served in a jam jar, the cocktail was sweet. We had a glance over the menu, there were 9-10 burgers on offer, and I fancied the “dead hippie” a double patty, sauce, lettuce, onions, cheese, and pickles. 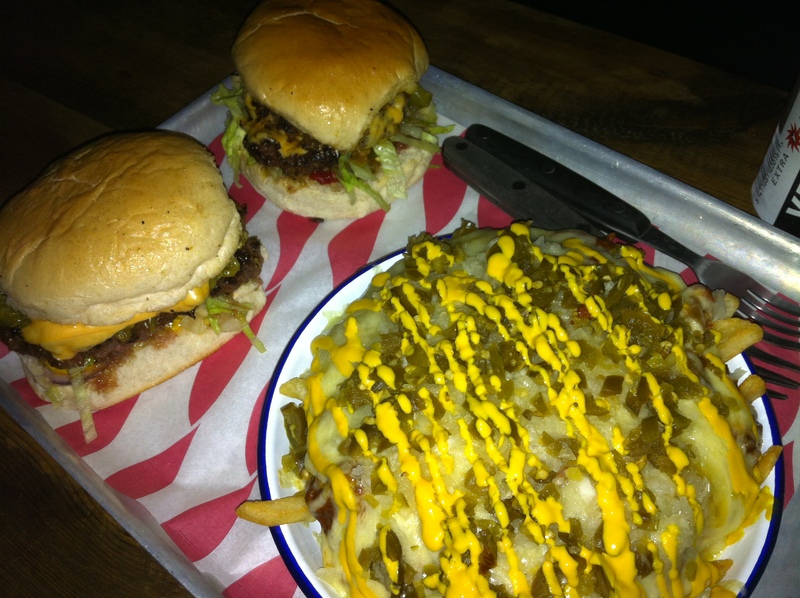 My friend bravely went for the, green chilli cheeseburger and we also ordered the chilli cheese fries. 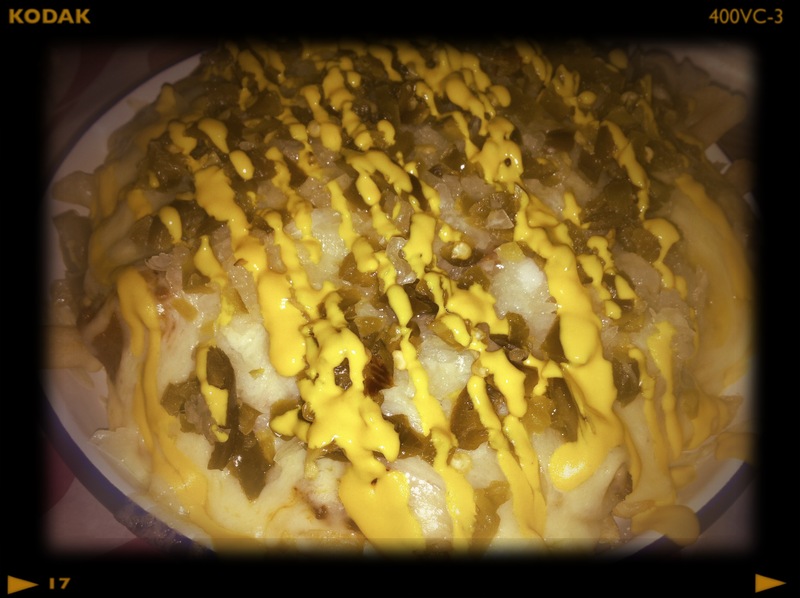 When the food arrived, the portion of chilly cheese fries was a meal itself, loaded with cheese, jalapenos, onions and mustard. It was full bodied with flavour, and we had a hard time finishing the dish. My friend said his burger was SPICY and had to order a coke to cool his mouth off, haha. My dead hippie was lip-smacking good. The delectable medium rare cooked beef was dripping with juice, I didn’t realise I managed to get some on my dress until I was home. Darn those dim lights. The bill was around £22, between the two of us plus drinks. I’m so happy Yianni has a permanent space for his burgers, no more chasing meatwagon on twitter for the next whereabouts. I will happily come back again to this place. I went to Meatmarket last night! yummy!!! Yum! They’re poppaz are amazing!